Mega Man X Legacy Collection and Mega Man X Legacy Collection 2 are out today on PlayStation 4, and everyone from Special A-class veterans to B-class newcomers are joining the Maverick hunt across eight classic Mega Man X games! 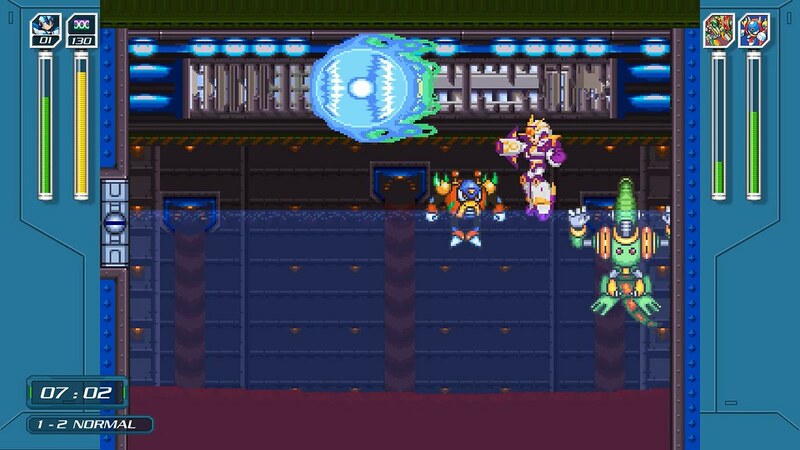 Along for the ride with both collections is the brand new X Challenge mode, seeing previously defeated Mavericks from Mega Man X through Mega Man X6 return in pairs to face off against X. Mega Man X Legacy Collection contains Vol. 1 of these challenges, while Mega Man X Legacy Collection 2 contains Vol. 2. This new mode can be deceptively difficult, so we’ve got you covered with some tips and tricks that can help Maverick hunters of all skill levels! Something to consider right from the start: X Challenge is split into multiple levels, pitting you against three stages of Maverick pairs before you can claim victory and move on to the next level of challenges. You’ll share lives, health, and weapon energy across each stage, so you’ll have to consider how much damage you’ve taken and how much weapon energy you’ve used. Donning a white variation of his ultimate armour first introduced in Mega Man X5, our intrepid Maverick Hunter is given a variety of weapons obtained from defeated Robot Masters at the start of each level. You can only select three weapons for X to take into each set of fights, so be sure to choose carefully. No matter your choices, X also comes equipped with his powered-up X-Buster and a Z-Saber, allowing you to bring the hurt to Mavericks in any situation. Nearly every Maverick’s weapon can be charged up for a unique attack, as well! 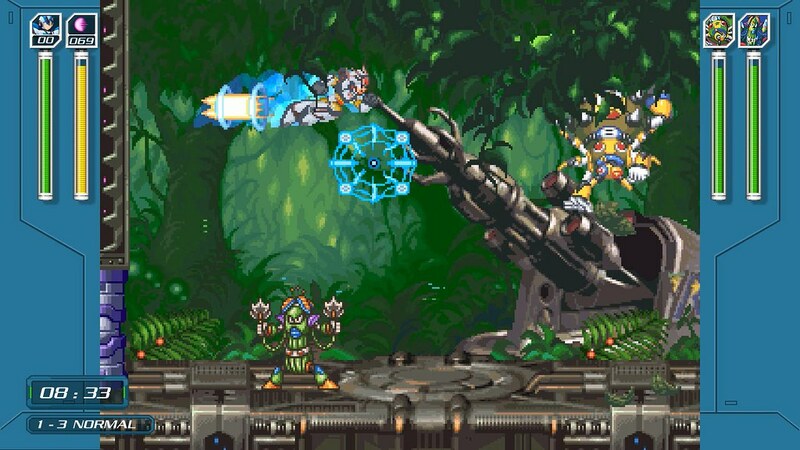 X can run, jump, and practically fly circles around his enemies once you know how to get him around the battlefield. 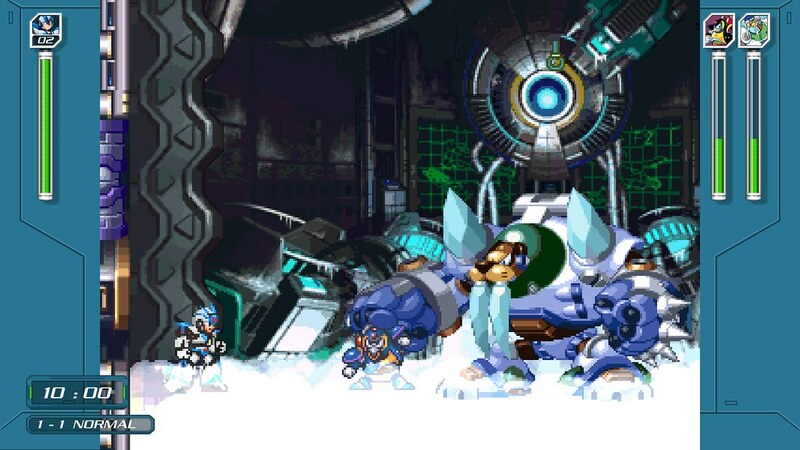 An arsenal of agile moves is at your disposal, including the classic ground dash and ability to slide down or jump off of walls – core mechanics that have been around since the first Mega Man X.
Fortunately, X retains moves gained in more recent titles – he can dash in the air and even hover for a short time as a way to dodge incoming attacks. Not every arena is the same, and knowing how to get around is crucial to X’s survival. It’s tempting to try and pick weapons that will match every Maverick’s weakness, but sometimes the best weapon is the trusty X-Buster. If you’re familiar with a particular arena or know that a certain Robot Master will be a total pushover (sorry, Chill Penguin), often times it’s worth conserving your weapon energy for a later Maverick that you’re having difficulty with, or double up on weapons for a particularly devious Maverick duo. Some Mavericks change their behaviour once they reach certain health thresholds, so it’s important to keep an eye on both their health and yours. Focusing on one Maverick to defeat first is also a great strategy, as it removes them as a threat and allows you to focus your attention on whoever’s left – though sometimes you just gotta go for broke and take them both out at once! 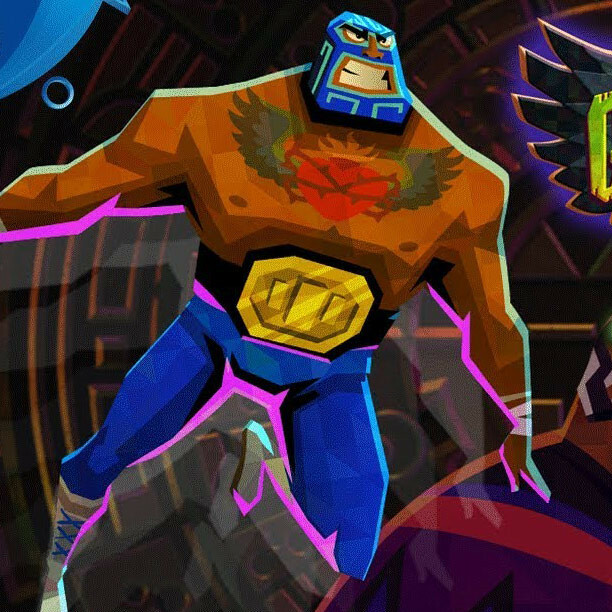 X Challenge can be a real ordeal, and there’s nothing wrong with lowering the difficulty to see what works best for each Maverick. You can also take some time to try out different weapons and learn the controls. You may be surprised by what works when you take the time to observe how Mavericks move and attack in each stage. Even veterans familiar with every Maverick and their unique attack patterns are sure to have trouble dealing with the unfamiliar situations of fighting two bosses at once. Can you keep hitting one Maverick with their weakness while another is constantly getting in the way? Learn how their attacks and movements work with or against each other, then use that knowledge to take down each Maverick pair permanently! With built-in online leaderboards, you’ll be able to compare your fastest times with X Challenge players all around the world. I’m looking forward to seeing who hits the top of the charts! With Mega Man X Legacy Collection and Mega Man X Legacy Collection 2 out today on PS4, get ready jump in to the world of 21XX. The Maverick hunt is on!